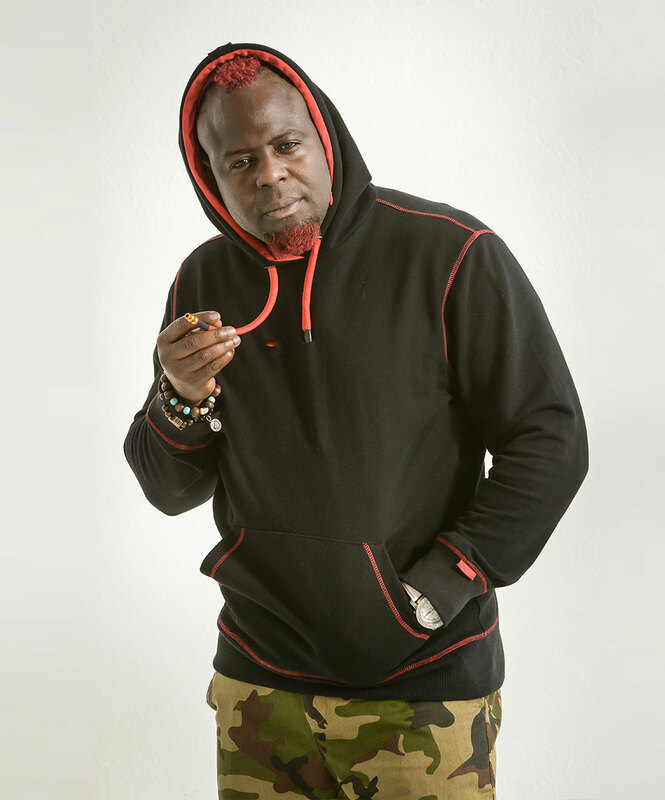 Elvis "Papi" Edwards created the line of vapRwear smokable hoodies. Papi Edwards. Caribbean native. Colorado resident. Incredibly enterprising stoner. His vapRwear hoodies all have hookah-like drawstrings at their necks that connect to included DLo3 vape systems for the inconspicuous toking of e-juices, oil blends, and waxes. (Dry herb DLo3s are coming soon.) I know, Woody Harrelson, I'm smacking myself...or at least staring blank-faced and trancelike into space like you probably are right now...for not thinking of it first too. But maybe Papi would like to buy some of your hemp fabric for his collection's next release. 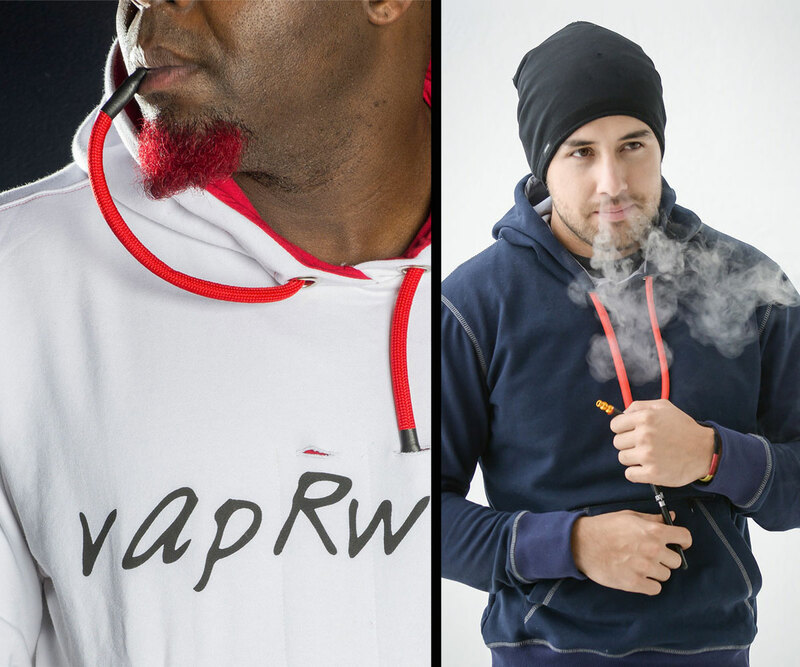 vapRwear currently offers over a dozen hoodies in both zip-up and pullover and men's and women's styles. 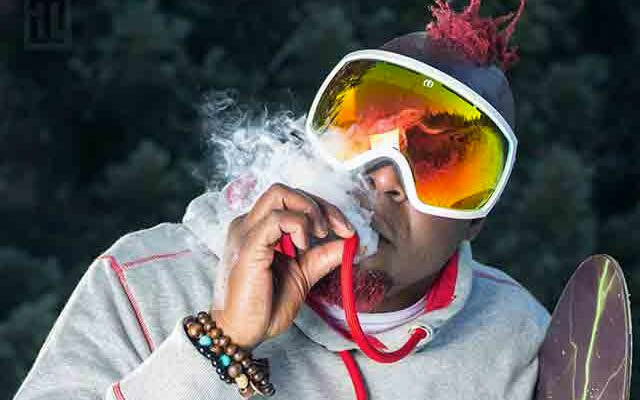 Each garment has a "hoodlace" to conceal its DLo3 e-cig vape system and a roomy french terry cotton construction to conceal the giant gut I'm going to grow vapRwear-ing out at the all-you-can-eat Indian buffet.